Literary nonfiction. Women’s studies. Memoir. Cultural criticism. 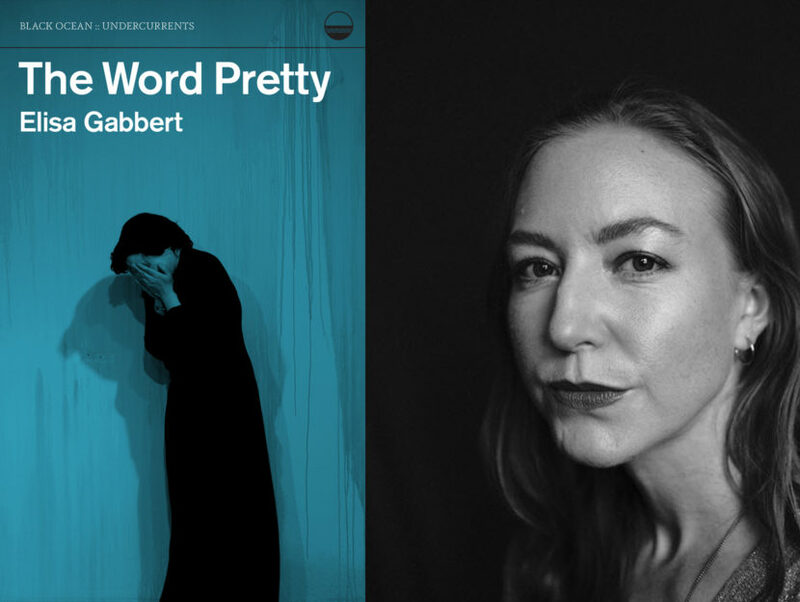 In her new essay collection, The Word Pretty, Elisa Gabbert brings together humor and observational intelligence to create a roving and curious series of lyrical essays on writing, reading, and living. Combining elements of criticism, meditation, and personal essay, this book reveals a poet’s attention turned to subjects from translation to aphorism, from unreliable memory to beauty and the male gaze. Recently, Elisa spoke with Read It Forward’s Jesse Aylen, delving into everything from the inspiring diversity of contemporary poets to how Twitter’s shaped our discourse on politics, books, and everything in between—for better, and for worse. Read It Forward: To start, I wondered if you could talk a little bit about the collection itself and the impetus to write it. 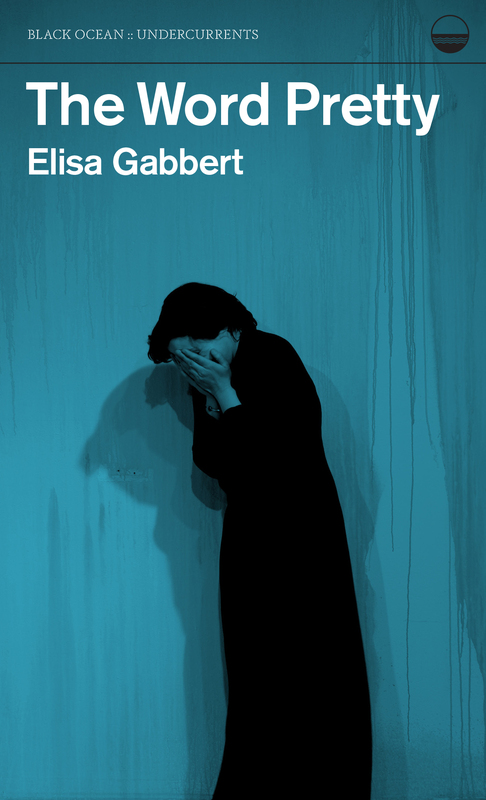 Elisa Gabbert: I didn’t really start off thinking about writing a book of essays at all. Years ago, I used to have a blog, back when people still had blogs. I would write things that were sort of like criticism and sort of like essays, but there was always stuff about books and writing. Occasionally, an editor would ask me if I would turn something I had blogged about into a structured essay that they could then publish in a journal. Prior to that, I hadn’t really thought of myself as an essayist, per se. I just liked blogging because I was a poet. But as time went on, I had more editors asking me to write things, and I slowly found that I was collecting these little pieces of personal essays, and I started to think of myself as also an essayist. I guess I’m a poet-essayist. RIF: So, you fell into it, and then it sounds like it organically developed. RIF: Like a Patti Smith 70-page tome of photographs of trees or something? EG: Right. I wish I could do that because that kind of collection is a bunch of little pieces by this one author, and you get a sense of their viewpoint. But I always felt like I’m not famous enough to do that. And then, as it turns out, I found out that my poetry publisher wanted to start publishing nonfiction books. So, we started talking about it. RIF: There was a quote that really stood out to me: “Poetry pays more attention to language. Poetry foregrounds through careful choices, rhythm and music and all those lovely side effects of language and syntax.” It felt like such an apt observation about poetic creation. Could you talk about the power of poetry in today’s society? EG: It’s interesting. I have felt for a few years like poetry is doing more for the revolution than, say, music. When you think about counterculture and civil rights movements in the ’60s and ’70s, I feel like music was a huge part of it. That was how people actually united, around folk music, for example. RIF: Like protest anthems, things that were a big part of the popular culture? EG: Exactly. I feel like the people I know who are really involved in politics, we’re not really united by pop music because pop music is not on our side. It’s not socialist or Marxist; these are famous people who make millions of dollars a year. But there’s something where people are really responding to poetry right now. I’m not sure why that is, but the kind of poetry that people are responding to is very much political and message-driven and identity-based. People seem to need that. RIF: Are there any poets in particular working today that you admire? EG: Oh, so many. I’m really excited that there are so many new and different voices in poetry than there were ten years ago, 15 years ago, when I was in grad school. It feels so much more diverse, and I find that inspiring and empowering. People like Tommy Pico and Morgan Parker, people love them. They write amazing poetry, and they also represent something that was totally underrepresented forever. RIF: Definitely. Looking at it conversely, do you have any thoughts about what memoir does for contemporary readers? EG: Honestly, I don’t read a lot of memoirs. I’m so much more drawn to essayists that incorporate memoir, but are also mixing up with more essayistic meditation or criticism. I just read Brian Dillon’s book Essayism. It’s pretty recent. He uses that term, essayism, to refer to writers who are inclined towards writing nonfiction, and everything they do, in thinking the way an essayist thinks. He obviously thinks that way and does incorporate memoir and personal essay into it, even though it’s mostly a critical collection. A lot of the writers he likes are the same writers I’m drawn to—people who are thinkers, and they enter into it at the corners and in the periphery instead of straight memoir, per se. RIF: I feel like I have to touch on social media because you give a nod to Twitter in the collection. You say, “Twitter has made my poetry more aphoristic.” I’d be curious to hear your take on the positives and negatives of Twitter and modern social media communication. Has it made people more critical readers of literature and media? EG: Oh, gosh. I wrote that that particular essay in a very different era of Twitter. RIF: The quiet, polite one? EG: Oh, yeah, back in 2014 or 2015. EG: Well enough before the 2016 election that people just used to joke around. My Twitter universe back then was mostly jokes, and this was back when tweets were 140 characters at most. I also think you couldn’t thread tweets back then, so you couldn’t do long political diatribes really. People used to do them on their blogs. RIF: Bring back the blog! EG: Right? But now, people don’t really blog so much. They mostly just do that on Twitter. But literally it feels like a different world now. I think a lot of the people who used to joke around and mostly just talk about books on Twitter, a lot of them have left, probably because they couldn’t take it anymore, for their own sanity. I’ve been on Twitter for nine or ten years, and it’s changed a lot. I used to have fewer followers and so I could more freely say stuff, and I didn’t really think I was going to reach that many people. RIF: Do you find that you tweet differently now? EG: Yeah, because I’m more aware of the potential to reach a bigger audience. Like, I could offend somebody if this is misinterpreted, so I’m always wondering, is this ambiguous in any way? And I do still sometimes tweet something and then a few hours later realize that could be read in exactly the opposite way than I meant it. That fear of being misinterpreted is a little scary. I don’t know if it’s just Twitter, or that social media in general has caused some of the things I would say are not so great about our discourse right now, or if it’s an effect of the culture that we’re going that way. But I don’t want to say it’s all good or all bad. I found a lot of great working relationships with editors via Twitter. I’ve met a lot of writer friends through Twitter, hundreds of people, that I would consider myself very friendly with now, who I might not have known otherwise. But I do think Twitter pushes people towards consensus opinions, which are very black or white and boring and non-nuanced. There’s a lot of either we’re all going to gather on this and cheerlead it and hype it to the heavens, or we’ve all decided that it’s bad and has no value. If you talk about it, you’re obviously wrong. I do find it ends up being very black and white, like interesting opinions don’t fly that well on Twitter because they’re not emphatic enough. RIF: There’s no room for the grey. You cite novels as your one desert island genre that gives you access to other worlds, despite the fact that you don’t write fiction. I’d be curious to hear about novels that have inspired you along the way. EG: I do really have a soft spot for novels that are kind of essayistic, I will say. I really love ruminative first-person narrators, and I have some fiction friends who absolutely despise first person. But I like first person because it lends itself so well to, borrowing Dillon’s term, essayism. I think in that essay that you’re talking about, I’m referring in particular to Javier Marias and his novel A Heart So White, and another novel of his, The Man of Feeling, which are both structured very interestingly. I like to think about structure when I read in any genre, and as I’ve started to write longer-form essays, I’m always thinking about structure, and it’s so interesting to see how the structure comes together. Whenever I read a novel that has an interesting structure, I think what seeps into my mind is, oh, how can I learn from this in terms of structure? RIF: Fascinating. You write about Instagram-crazed selfie culture, and speaking from that perspective, what do you think about selfie culture and that first millennial instinct to train a camera on yourself as a way to put yourself out there? EG: I mean, I like selfies. I like taking them, and I like when other people take them and post them. It’s as normal as taking a picture of anyone else. The thing that’s different is that it’s so easy to take photos all the time, it’s changed the way people think about what is photographable. In any landscape now, you see people taking photos with their phones, and suddenly everything is fair game. People used to have these designated times and zones where, of course, they were going to bring their camera and take photos—when they’re on vacation, at a wedding, or at a party. But now it’s all the time. Just yesterday, my husband and I drove by someone, and I could see her taking a photo of what looked like nothing. It was a sidewalk with some trees, but I could see that she was trying to get a photo, and so I instantly looked where she was looking. I think we look at the world differently now. We’re always looking for something that’s worth photographing. It reminds me of when I first got on Twitter, how I started reframing my thoughts as to what’s a tweetable thought. RIF: I spoke with somebody recently who’s a big Instagram person, and he’s been on the platform long enough to where he said that after a while, he thinks in Instagram-sized captions. EG: Oh, how funny. I absolutely think of Twitter differently as a platform since they expanded the size of the tweet. I really feel it’s no longer as aphoristic as it used to be because you can type a couple of sentences now, and that’s the unit, and it’s a different form of thought. RIF: In one essay you reference Anne of Green Gables, where you say, “Anne, as an orphan, simply wants to have value. She wants the world to want her.” Within that piece, you look really incisively at the male versus the female gaze, and how so often it’s defined by these polar moments—how men watch and how women are watched, and how that colors their interactions. Given #MeToo and Time’s Up, I wondered if you could talk about how we see that dynamic changing. EG: Yeah, this is something I’ve been thinking about recently, because what’s going on in the literary world is this sweeping movement, all these voices that have been underrepresented for so long are being represented, and it’s amazing. But at the same time, Trump is in office and Brett Kavanaugh is on the Supreme Court. It’s not cognitive dissonance, it’s societal dissonance. There’s this pulling between this great progress we’ve been waiting for and fighting for so long, but then extreme regression on the other hand, where a lot of the stuff we’re paying more attention to now was always true. But it feels like, well, it’s certainly going to get worse. I feel this unsustainable, mind-destroying tension, the feeling of progress in some areas and the absolute lack of progress in others that’s very frightening. While I’m glad the #MeToo movement is happening, it’s hard to feel like it’s completely successful or paving the way towards a better future because there’s really so much resistance to it. We could absolutely go backwards for a while before we get back to the way forward. RIF: You wrote for The New York Times about your love of libraries, and their recently returned shelf in particular. Can you talk about the value of libraries in our culture and how you see them being stalwarts, even as someone recently suggested that Amazon could replace the library? EG: I just want to make clear that I really, really know my library very well. But aside from being a place where I get way, way, way more books than I could ever buy in a store, it’s very powerful to have this system where I don’t have to buy everything I want, which is not true of most things. If you want to wear a shirt once, for the most part, you have to buy it. But a book, you can have it for a few weeks or a few months and then take it back, and it’s amazing. I wish there were way more things like that, not less. It’s a place where, if you don’t have anywhere else to go, you can be inside for a couple of hours and maybe go up to a table on the second floor and take a nap, and they don’t really bother you. That’s beautiful. It’s providing a lot of services to the community aside from books. The fact that it’s free is really important. It shouldn’t just be like everything—everything shouldn’t be converted into micro payments. RIF: Monetized at every turn. EG: Exactly. If it was run by an Amazon or an Uber for books, it might be affordable on the short term. But I’m sure they would be screwing workers somehow to make it cheap. I think services that are paid for by taxes are wonderful, and we should have more of them. RIF: Are there any writers you wish the world would read more of? EG: Yeah. To name somebody living who I think is really underrated is Kate Colby. She writes both poetry and essays. It seems like she has a new book out every year, and she tends to send me her books because she’s a friend of mine, which is very lucky for me. But I feel like not enough people read her at all. She’s really brilliant. In general, it’s a hard question to answer. I always think about Jonathan Franzen calling Alice Munro underrated, and the term “underrated” seems to lose all meaning. I don’t know if it’s fair to call the following writers underrated, but I’ve read some books in the past couple of years that I keep recommending to people, like The Heat of the Day by Elizabeth Bowen, Hyperobjects by Timothy Morton, Whatever Stasis by Chris Tonelli, Sorry to Disrupt the Peace by Patty Yumi Cottrell, Zama by Antonio di Benedetto, Excellent Women by Barbara Pym, and The Adversary by Emmanuel Carrere. RIF: As people are reading The Word Pretty, what do you hope they take away? EG: I don’t know if this is the one thing I hope they take away, but I was having dinner with a writer who I’ve known from her writing for a long time, and we just met for the first time in person. She was saying, “Oh, I admire that you seem so free to share your own opinions on Twitter. I’m too scared to put a stake in the ground and just say what I think.” I guess I think that’s maybe true for a lot of women. And I don’t know why I don’t have that. Maybe I should. When I was proofing the book, I had to read it four times very closely in quick succession looking for mistakes, and I got really sick of myself because there are so many opinions in it. I have to assume that if somebody else was reading it for the first time, they wouldn’t be as sick of me as I got of myself. I guess I would hope for a young woman who aspires to be a critic or an essayist, that she would be inspired that she can say what she thinks. It’s okay to take the risk of being wrong and to say potentially unpopular opinions. Just be okay with taking that risk and knowing that people might disagree with you. But if you believe it, so what? ELISA GABBERT is a poet and essayist and the author of three collections: L’Heure Bleue, or the Judy Poems (Black Ocean, 2016), The Self Unstable (Black Ocean, 2013), and The French Exit (Birds LLC, 2010). The Self Unstable was chosen by the New Yorker as one of the best books of 2013. 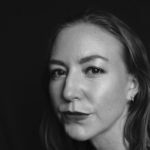 Elisa’s work has appeared in The New Yorker, The New York Times, The Guardian Long Read, Boston Review, The Paris Review Daily, Pacific Standard, Guernica, The Awl, Electric Literature, the Harvard Review, Threepenny Review, Real Life, Catapult, Jubilat, Diagram, and many other venues. She lives in Denver. JESSE AYLEN is a New York City-based freelance writer, editor, and digital content consultant. 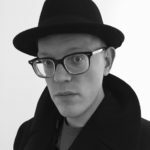 When not immersing himself in scads of memoirs and essays, he’s likely tinkering with his website, www.aylenwrites.com.